Obesity is the fastest growing health problem in the world. 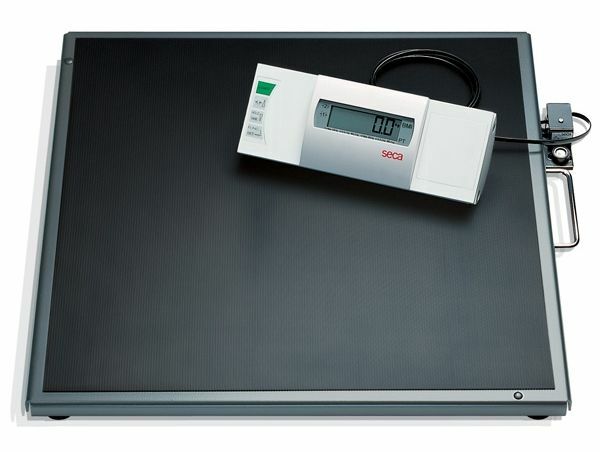 This battery-operated Seca 634 electronic scale has been especially developed for weighing obese patients. With a weighing range of up to 800 lbs and a 23 1/4 x 23 1/4" large, only 2 inch high non-slip platform, they are a sturdy base for overweight or obese patients. A chair may also be used on the scales (and will not influence the weighing result due to the pre-TARE function). The cable remote display with easy to read LCD can be held, wall mounted or placed on a table. 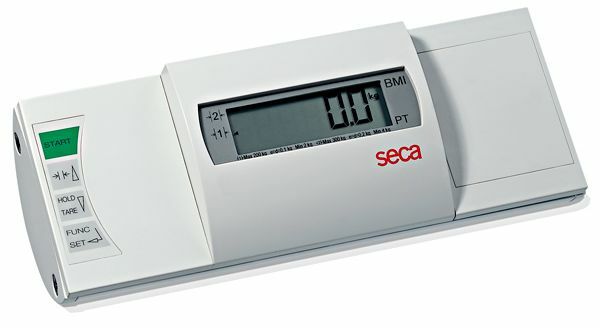 The battery operated digital scale seca 634 has been especially developed for weighing adipose patients. With a capacity of up to 800 pounds, it is a sturdy basis for heavyweight and corpulent (e.g. pregnant) patients. The low platform profile reduces patient effort and risk when stepping on the scale. As the 24 x 24 inch platform is almost twice as large as that of a normal scale, a chair may also be placed on the scale for weighing a patient. With the pre-TARE function, the weight of a chair or standing aid can simply be tared away. Up to 3 TARE weights (e.g. chair weights) can be stored. The Seca 634 features a cable remote display which shows fine graduations. The result is shown on the cable remote display in easy to read LCD numerals. The display can be mounted on a wall at eye level, placed on a table or on the optional mobile stand seca 472. The 0.2 pound graduation means that even the smallest changes in weight are registered – and, thanks to the HOLD function, also after the patient has left the scale. The scale has an economy mode which means that it switches off automatically when it is in rechargeable battery operation. 24" x 24" x 1.8"